Public transport in Medway began in the 19th century in the form of horse buses. As might be expected routes were configured to serve the main military establishments and commercial areas centring on Brompton and Chatham. Horse bus passing Strood Church. Pre 1906. 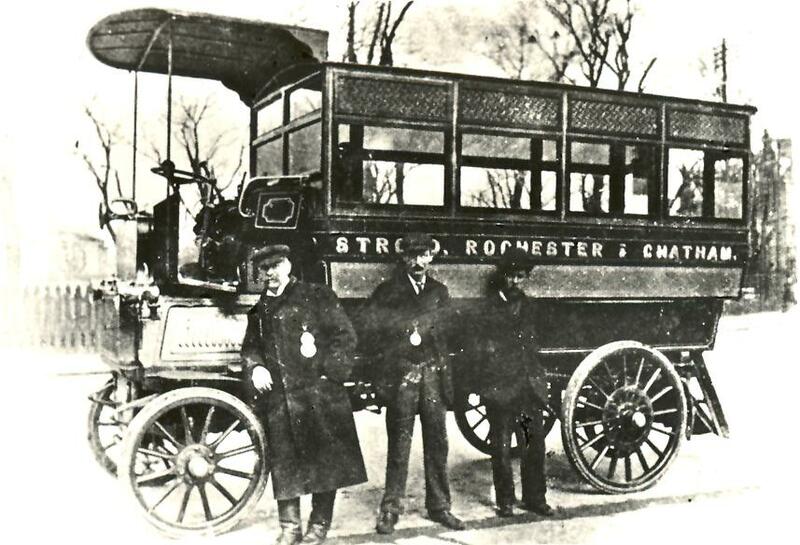 An early local motor bus. Private bus operation expanded considerably during the 1920s as men sought new occupations following the great war. Some joined forces as members of the Medway District Bus Owners' Association. Control of these operations was difficult as there was much competition for the prime routes, and Chatham Council licensed over 70 such small operators.